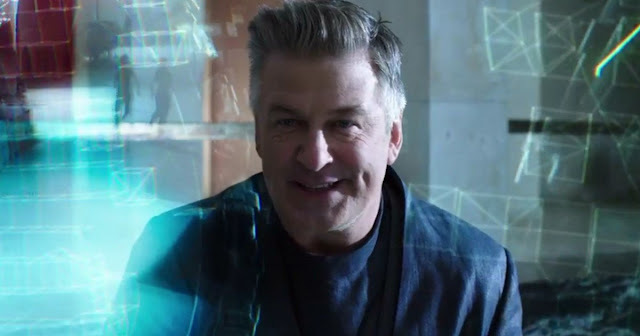 A couple of years ago Alec Baldwin did something he very rarely does nowadays, which is sign on to lead a science-fiction movie. That film was the interestingly-titled Andròn-The Black Labyrinth, and right away it sounded like somebody's idea of what The Maze Runner would look like if cast with adults. Apparently the film has been quietly making the festival rounds, like very quietly, but now it's getting some attention with the arrival of its trailer. Surprisingly, it doesn't look that bad. Yes, it still resembles The Maze Runner mixed with The Hunger Games and maybe with a dash of Cube thrown in, but the effects are solid and the premise intriguing. Baldwin plays a man who has trapped players in a weird, claustrophobic maze, forcing them to fight one another for survival while he broadcasts the battles. The cast includes Danny Glover, Michelle Ryan, Gale Morgan Harold III, Skin, Leo Howard, Antonia Campbell Hughes, Jon Kortajarena, Mauro Conte, Korlan Madi, Alex Martin, Gaia Scodellaro, Elettra Mallaby, and Clara Pasieka, with Francesco Cinquemani directing. So clearly Baldwin being out of his element is the draw here. Andròn doesn't have a release date yet but we'll update you when one is finally locked down.